Great Food! Great Fun! Lots of Action! One Hotel in the Heart of the Action! One mile from Hard Rock Stadium and Calder Casino. 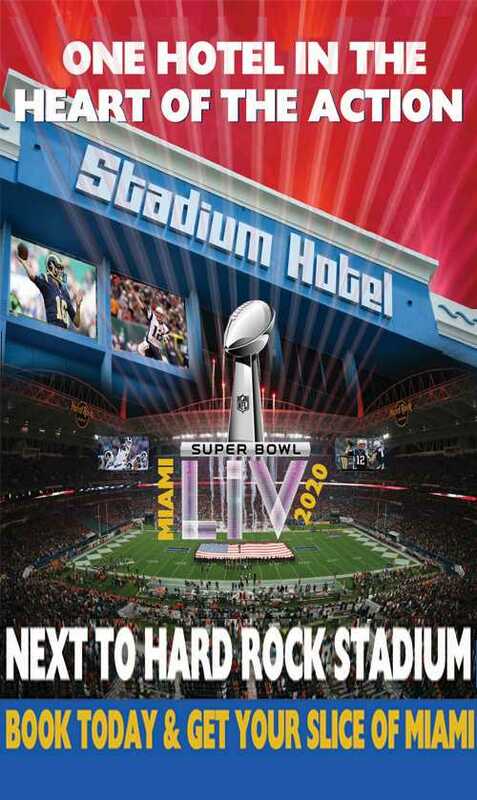 Our Miami Gardens Hotel hosts guests for sporting, music, and entertainment events all year long. We offer 217 rooms with balconies, Legends Sports Grill, and Banquet Facilities. Book now and get your slice of Miami! BEACHES –SUPER BOWL 2020 - DOLPHINS – HURRICANES – RACETRACKS - MIAMI OPEN 2019.